I started at Almost Famous Body Piercing when I was 16 years old. I was still in high school and was too young to pierce so I was hired as a clerk. 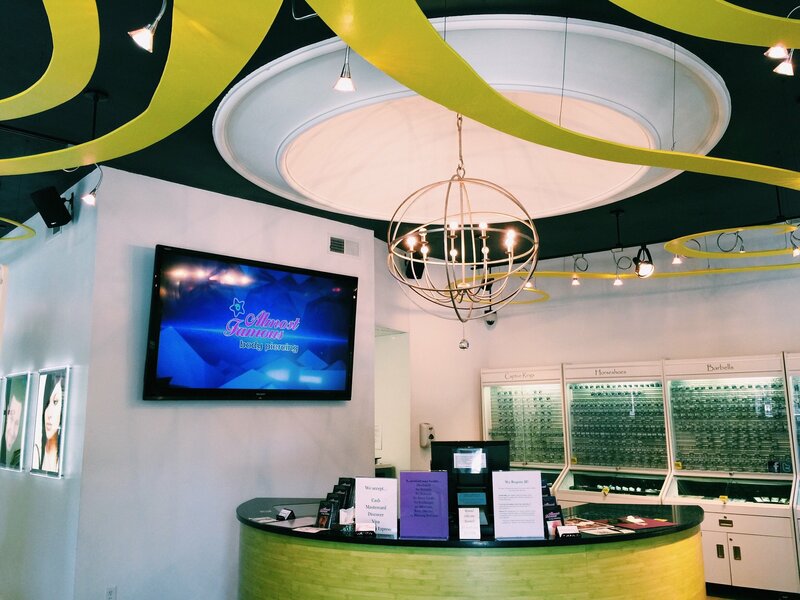 I loved working in the fast paced environment, helping customers choose jewelry for their piercings, and seeing the grin on customers faces as they came out of the piercing suite with their new addition. After a short time, I decided I had to be a piercer! the president of Almost Famous Body Piercing contacted me and asked if I wanted to help open up a new Almost Famous location in the Mall of America. I said yes, of course, and began putting together the new store with a couple coworkers that I previously worked with in Fargo and another from St Cloud. It was so exciting to be a part of the process of opening a new store. Everything from seeing the construction progress, to putting together displays, to training new employees. Once we got the store up and running, I was asked if I wanted to pierce. I was so thrilled to finally get the opportunity! I applied for my license and training started right away. It was fascinating to go through CPR and First Aid courses as well as Bloodborne Pathogens, infection control, and to learn about anatomy. After a week of introduction classes, I was able to practice piercing on friends and family members in the store. 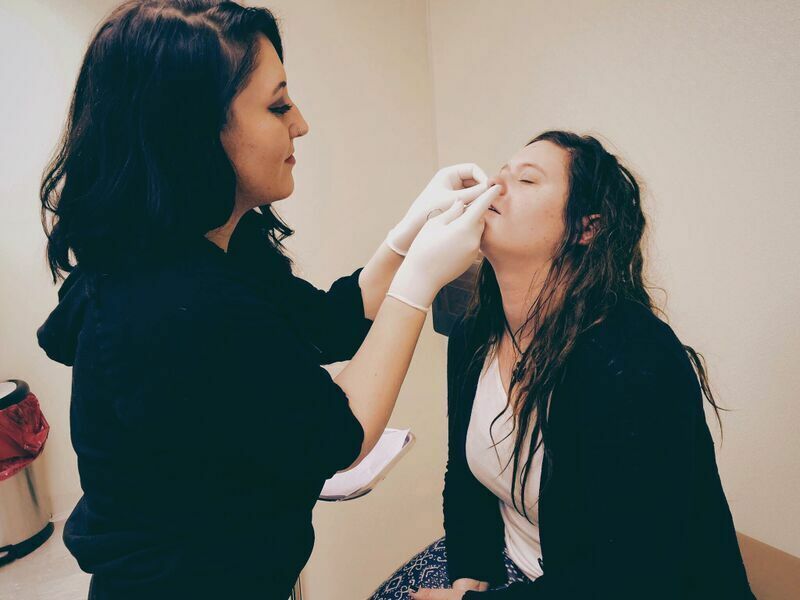 My first piercing was a nostril and I remember setting up my tools and needle and feeling anticipation and excitement right before I put pressure on the back of the needle and did the piercing. The piercing came out perfect and my roommate was so excited about her new adornment. I was just as excited to see what I had just done! 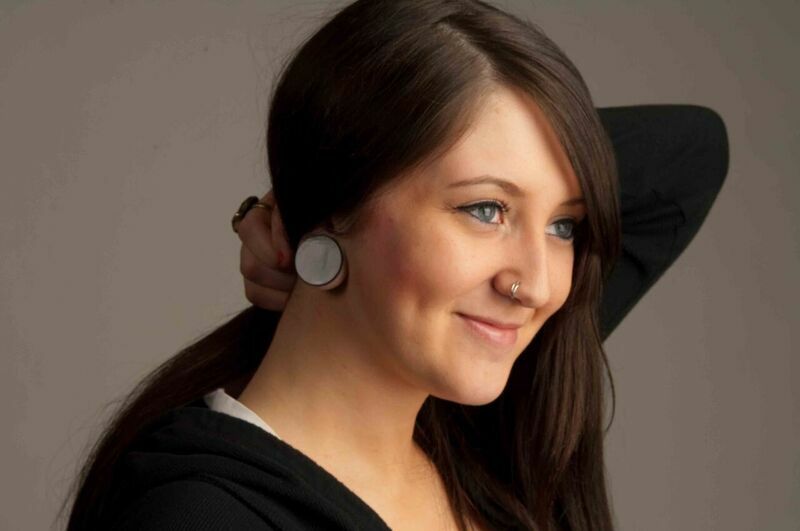 After piercing at the Mall of America for a while, I was asked to be a Piercing Instructor and Supervisor. This means that I would train our future training technicians and supervise them during their apprenticeship. 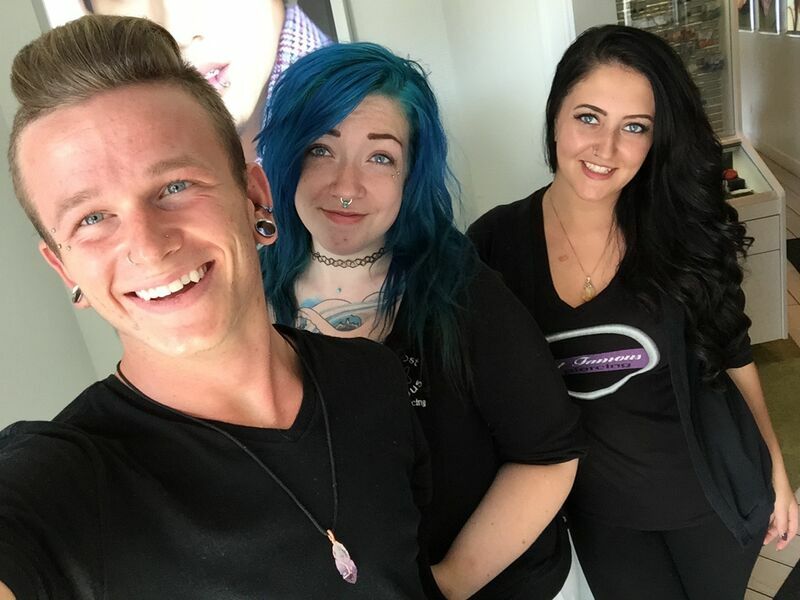 I teach at both of our Piercing Central locations in Fargo, ND and Minneapolis, MN and have supervised piercers at all of our store locations. I love this part of my job because it allows me to teach the skills that I am so passionate about. I get to go through slideshows, videos, piercing practice on boards, practice on silicone, and then finally practice on the training technicians friends and family. It’s so exciting to see them do their first piercings, start to feel confident in their abilities, and on their way to becoming a professional body piercer! After being an Assistant Manager at the Mall of America location, I became a Manager at our Northeast Minneapolis location. I’ve currently been working at this location for two and a half years and love the regulars we get, the new faces we see, and the community that we’ve grown to be a part of. Since I really enjoy taking photos and writing, I was also asked to be a part of the social media team. I was overjoyed at the chance! I now write the blogs for our website (which you can read here!) and take photos of new and healed piercings, jewelry, and other things around the stores for our website, Instagram – @almostfamouspiercing, Twitter – @AlmostFamousBP, and Facebook – Almost Famous Body Piercing. 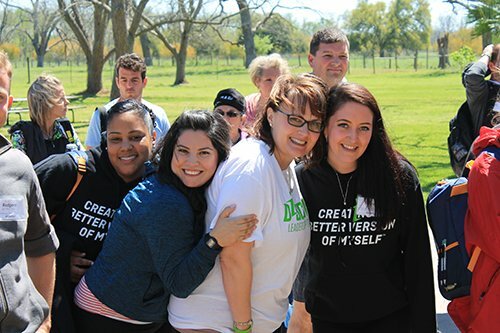 Texas, for a week and take part in the Master Graduate Leadership Program through Discover Leadership. The President and General Manager of the company went through the program a month before myself and another co-worker. They said it was so impactful that they nominated us to go the following month. It’s a four day program in which you learn effective leadership skills, how to fully maximize your potential, and to focus on positive outcomes. I came out of the program as an improved version of myself and have been able to apply all of these things to my personal life and my professional life at Almost Famous. I feel so lucky to be able to grow with this company. What started as my high school job at 16, has turned into my career at 24. I’ve been working with some of my team for years and things just keep getting better. In mid-June of 2016, we opened our fifth Almost Famous Body Piercing location in Mankato, MN! Then it’s onto Illinois! In the Fall of 2016, we’ll be opening up a new location in Champaign. I’m excited to be a part of yet another milestone for Almost Famous Body Piercing and can’t wait to see what more we accomplish in the future!